The tradition of Afternoon Tea began in England and the English certainly know how to do it and how to do it right. At every top London hotel that serves Afternoon Tea, the ambience, the tea and the tea food is excellent, a few perhaps marginally better than others. If beautiful surroundings, excellent tea and delicious tea food form the baseline for Afternoon Tea at every top hotel in London, then what are the factors that would make one Afternoon Tea stand above all the others? A take-away box Yes, it’s a simple gesture, but it’s one of those little things that make you feel pampered. It’s like your own miniature tea hamper and it’s a lovely way to extend the tea experience once you’re back home. Here’s a picture of the Wellington Afternoon Tea take-away box that I brought home with me. Offering tea for purchase There’s nothing worse for a tea enthusiast than discovering a fabulous tea, then not being able to source it. The Wellington Blend is one of two special teas created exclusively for the Wellington Lounge by London’s Tea Palace. You won’t be able to buy it at the Tea Palace – but you can buy it at the hotel shop. Honouring Afternoon Tea The InterContinental Park Lane London is mainly a business hotel, and has offered Afternoon Tea for a while. Two years ago some changes took place and they set out to turn their existing Afternoon Tea into something exceptional. They have succeeded, and to me this shows that they honour and value the tradition of Afternoon Tea. The well-researched theme If you read my review of this tea you will know that I love a themed Afternoon Tea, but many of them go no further than coming up with clever names for the food. There’s nothing wrong with that – it’s fun – but the Wellington Afternoon Tea had real substance behind its theme. Chef Paul Bates must also be a history major to have masterminded a tea sandwich using Spanish Monroyo ham and Monte Enebro cheese – ingredients that are a nod to the Duke of Wellington’s 6-year campaign in Spain. It’s served on potato bread, too – a cheeky reminder that England’s beloved military hero was actually born in Dublin. And that’s just one example of the level of thought that went into the creation of this tea menu. Presentation In a quest to be different, I suppose, I have noticed a growing number of variances in the way that Afternoon Tea is literally being served at table. The last time I had tea at a certain world-renowned London location, an empty plate remained on the tea stand until later replaced with a plate of warm scones . That just didn’t look right, and it just didn’t feel right. 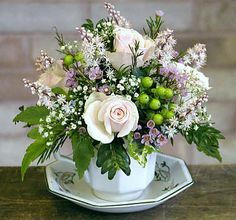 At the Wellington Afternoon Tea, I loved the fact that the 3-tiered tea stand arrived at the table filled with food, and that the tea guest chooses when to have the warm scones brought to table. I also really liked that they offer a signature sandwich, and a signature dessert. This allows those two items in particular to periodically change so as to take advantage of seasonal foods and holidays. Tea knowledge The level of understanding and knowledge that our waiter Mohammed had about Afternoon Tea and the tea beverage was incredible. It wasn’t a scripted, rote familiarity but a genuine grasp of what tea is all about. For a tea enthusiast like me, it was a real treat. But for someone who may be new to Afternoon Tea, this kind of guidance and expertise would be priceless. Value When I think back to tea last week-end and re-live it through my blog post and pictures, I remain amazed that the cost is only £28. The food alone is worth that price, but add in the level of service and all the other amenities that make up this tea experience and it simply has to be the best Afternoon Tea value in London. Try it for yourself and see if you don’t agree. Timing Several minutes after each fresh pot of tea was delivered to our table, Mohammed would return to subtly remove the small infuser basket from the pot. His timing was spot on and the first time he did it, he explained why it was being done. Seasoned tea drinkers know it’s so the brew doesn’t become too strong, but persons new to tea drinking will find the procedure fascinating and perhaps not even realise that they have just been given a very important lesson in the art of making tea. Proof again that Afternoon Tea at Wellington Lounge is about so much more than just eating tea sandwiches and drinking tea. It is about honouring and respecting a tradition that is such an important part of the fabric of English life. Training By now it should be apparent to you that Afternoon Tea at Wellington Lounge is taken very seriously by those in charge. They live and breathe it and one of the ways they do that is through a unique training programme that, among other things, allows staff members to go out and experience Afternoon Tea for themselves at different venues in London. What better way for them to see firsthand what works and what doesn’t work at tea, and what a great opportunity to observe the good and not so good tea services currently practiced in and around London. I applaud this kind of diligence, and am very impressed with the results as the entire team at Wellington Lounge personify professionalism at its best. Customer service I have given you nine reasons why the Afternoon Tea at Wellington Lounge stands out among the others in London, but here’s one more and it’s the number one reason: our waiter, Mohammed. From beginning to end, he was friendly, knowledgeable, efficient, professional (yet relaxed) and his timing (on everything from tea brewing to knowing just when to check in with us) was impeccable. He was easy to talk to and very adept at being able to anticipate our needs. I’m sure that the entire team are trained to this high standard, but if you ever have Afternoon Tea at Wellington Lounge, Intercontinental Park Lane London, be sure you ask for Mohammed. He will treat you like royalty, and you will leave feeling very special indeed. And to Mohammed: Thank you! 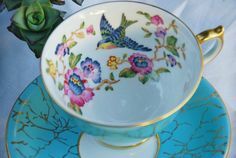 As a tea enthusiast who has over the years enjoyed many an Afternoon Tea, I have by now developed a keen awareness of what I love in an Afternoon Tea – and one thing I love is a themed tea. Whilst there are indeed a few elemental things that every Afternoon Tea should contain, the ‘art’ of Afternoon Tea crys out for personalisation and creativity, and nowhere can this be better personified than in a themed Afternoon Tea. Today I want to tell you about a themed tea that has surpassed all others I have ever had. It is the Wellington Afternoon Tea at Wellington Lounge, InterContinental London Park Lane. And it is in one word, flawless. Readers of this blog learned in my post about Apsley House that British military hero and twice Prime Minister Arthur Wellesley, a/k/a the 1st Duke of Wellington, was quite the tea drinker. He travelled extensively through India and Europe on his campaigns, drinking tea and enjoying exotic food. With a taste of his exploration subtly woven throughout, the Wellington Afternoon Tea honours the Duke by using the best of British ingredients infused with influences from his international destinations. Talk about the art of tea! With just the right balance of light and space, the ambience in Wellington Lounge is magnificent – sophisticated elegance, yet comfortably informal. The exotic green Anthuriums on the tea tables in Wellington Lounge are quite handsome and immediately evoke a sense of the Duke’s worldly wanderings. The Wellington Lounge tea ware is striking. Its silver geometric design is a fresh change from what you normally see used at tea. The extensive Wellington Lounge tea menu offers tried and true favourites, unusual teas, and a few exclusive house blends created through a collaboration between Executive Chef Paul Bates and the London emporium Tea Palace. The Wellington Afternoon Tea is served in the traditional style – with a bit of a twist. 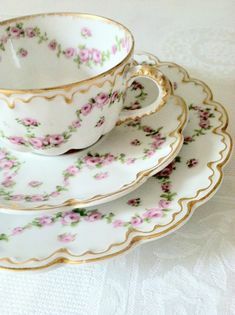 The tea stand is brought to the table and displays tea sandwiches on the bottom tier, sweets on the middle tier, and a crowning glory signature dessert on the top tier. The ‘twist’ is a distinctive, independently presented tea sandwich served at the start of the tea. Do you remember my saying how a themed tea crys out for personalisation and creativity? The unique, stand-alone tea sandwich served at the start of the Wellington Afternoon Tea is a perfect illustration of what I mean. Made with Spanish Monroyo ham and Monte Enebro cheese, the ingredients are a nod to the Duke of Wellington’s 6-year campaign in Spain. And it’s served on potato bread – a cheeky reminder that England’s beloved military hero was actually born in Dublin. Well done, Chef! Additional sandwiches are offered, should you desire. The sardine sandwich was so good, I asked for another. Up until then, I had never eaten a sardine in my life and wasn’t particularly worried about it either, but this sandwich was luscious. I appreciated that at the beginning of the tea service, our waiter Mohammed (more about him on Friday – a fabulous individual) gave us the option of choosing when to have warm scones brought to the table. This little nugget of information ensures that the customer is served fresh, warm scones precisely when they want them, and that is exactly what happened when the plate of homemade Sultana scones and Buttermilk scones arrived as requested. Generous scoops of clotted cream and strawberry preserve rounded out the interlude, one that is paramount to every proper English Afternoon Tea experience. The scones were just the way I like them: light and soft on the inside, with a hint of delicate crunch on the outside. It’s my opinion that the hallmarks of a perfect scone (besides taste and appearance) are a good rise; a substantial yet light density; and the presence of a natural break line in the middle allowing it to be gently pulled apart in half. These scones ticked all the boxes. You’re full already, aren’t you? I know! But who can resist cakes at tea time? In his duties as a military and political leader, the Duke of Wellington spent time in the Netherlands, India, Spain, Portugal, France, Denmark, Belgium, Austria, England and Ireland. The final course of the Wellington Afternoon Tea salutes his global travels with exquisite sweets of Blackberry and Vanilla sponge Bavarois, Coconut tart with Pistachio confetti, Gateau ‘Basque’ with comfiture of black cherries, and Raspberry Meringue with vanilla cream. Do not let the 2-bite size of these little gems fool you – each one packs a flavour punch that will literally curl your lips with satisfaction. My favourite was the meringue, whilst Mr. Tea preferred the coconut tart with its shards of fresh, sweet coconut. It all began when the Duke of Wellington was taking care of business in Vienna and Napoleon decided to take care of unfinished business in France by escaping from Elba – so what Wellington themed Afternoon Tea would be complete without a worldly cake offering of the Sachertorte, Austria’s famous chocolate torte. This was my first Sachertorte. The chocoholic in me is saying that it won’t be my last. Read here about the interesting history of the Sachertorte. Even after all these years of Afternoon Tea-ing, it still surprises me how filling tea food can be. The experts at Wellington Lounge know this, and will be happy to box up any leftovers so you can continue the experience later on at home with your own cup of tea. The Wellington Afternoon Tea at Wellington Lounge InterContinental London Park Lane is from all perspectives the best Afternoon Tea I have ever experienced. There are a number of reasons for this and I’ll be telling you about them on Friday, but in the meantime I strongly encourage you to book in and see for yourself. You will be treated to beautiful surroundings, delicious food, impeccable service, and unparalleled value. An adventure the Duke of Wellington himself would have enjoyed. Are those tea leaves on Harrods’ family tree? Whenever I’m at Harrods, the first place I head to is the Food Hall, mainly because it’s one of the few places in the store where I can afford something. 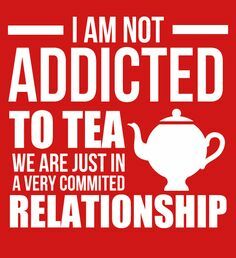 But the real reason is because I love the tea section. It’s not a particularly large space, but it’s crammed with boxes and tins of more than 300 pre-packed teas, and 165 single-estate, single original teas. The last time I was there, they were featuring this 22-carat gold tea. As if. That it had the very first escalator in history. That it sits on 4.5 acres and is visited by 100,000 shoppers every day. That A.A. Milne found the original Winnie-the-Pooh for his son Christopher Robin in the Toy Department. That it employs 5,000 staff from over 50 different countries, together with 7 ‘Green Men’ who stand by certain doors to offer heavily-laden shoppers a helping hand. But there’s one fact that I bet you didn’t know. In 1834, Charles Henry Harrod, a London tea merchant (and grocer), rented a small shop on Brompton Road, Knightsbridge. The area was quickly becoming quite fashionable, and in just a few years, the discerning Charles – a man of good taste – put his store, Harrods, on the proverbial map. It eventually passed from father to son, and Charles Digby Harrod continued to build the business by purchasing adjacent stores and introducing a delivery service that is still in operation today. The family sold the business in 1889, but Harrods continued to grow in profits and in size. Its motto is Omina Omnibus Ubique: All things for all people. It truly is legendary. And all due to one man, a tea merchant, whose legacy lives on through the sales of luxury tea to discerning drinkers from across the globe. The next time you are in London and visit Harrods, don’t be so much amazed by its size, atmosphere, or wealth as with the fact that it all started with a cup of tea. There are so many, many things I love about London. The most endearing sights for me, as a tealover, are these adorable little green buildings known as Cabmen’s Shelters or, as I call them, Cabbie Tea Huts. These shelters were built in Victorian times as places where a London taxi driver could grab a cup of tea and a sandwich. They serve the same purpose today. The first shelters were built in 1875. At that time, it was illegal for a cab-driver (in his horse-drawn carriage, called a Hansom Cab) to park his cab and leave it unattended. This made it a bit difficult to get a hot meal during the day. In stepped The Earl of Shaftesbury who, with some other philanthropists, created a charity called the Cabmen’s Shelter Fund. The charity built and ran these “shelters” at major cab stands to provide cab-drivers with good, wholesome food at reasonable prices. The next time you are in London, keep an eye out for these tiny tea houses. At most of them, anyone – not just a cabbie – can order a cup of tea or a sandwich. Downton Abbey mania has swept the world and I for one am not ashamed to count myself a fan. As a tea enthusiast, some of my favourite scenes are those when tea is either served or mentioned – and those scenes are plentiful. I make no apologies for fantasizing about what it would have been like to live the Downton lifestyle. “Tea is served, m’lady.” Sigh. Perhaps one of the reasons I love going for Afternoon Tea is because it gives me a sense of ‘another time, another place’. Whatever the reason, love it I do and on Saturday I had an opportunity to dine like the Crawley’s and the Grantham’s at a Downton Abbey inspired Afternoon Tea at Grosvenor House, London. Downton’s ‘Upstairs, Downstairs’ Afternoon Tea was designed to celebrate the launch of series 3 of Downton Abbey, which takes place during the 1920’s – when Grosvenor House itself first started serving Afternoon Tea. Nigel Boschetti, Executive Chef at Grosvenor House, created the special menu after researching cuisine from the 1920s. He has done an excellent job of fusing decadent ‘upstairs’ delights that the Crawley’s and Grantham’s might have indulged in, such as Smoked Salmon Pin Wheels, with ‘downstairs’ fare, like Bread Pudding, that would have fueled Carson and his team of servants. Upon arrival for our 4 o’clock reservation, we were escorted to The Park Room which is where Afternoon Tea is served at Grosvenor House. I really, really liked this space – it was wide and open and tables weren’t jammed close together as often is the case in hotel tea venues. Sunlight was streaming into the room, adding a beautiful golden glow to the already opulent surroundings. A pianist was playing a piano in the corner of the room. I didn’t take any photographs of the room in order to preserve the privacy of other diners, but afterwards I popped out and snapped the above picture to show you the table where we were seated. Window tables are smaller than most of the other tables in The Park Room; nevertheless, we very much enjoyed looking out over Park Lane and Hyde Park, and never felt awkward even with a fairly steady stream of outside passers by. The tea tables in The Park Room at Grosvenor House are lovely and welcoming. 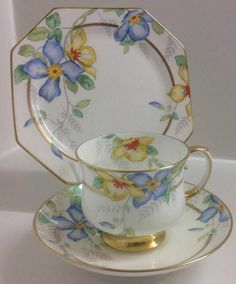 Instead of white table-covers, theirs are a warm shade of what I would call ‘tea green’, and nicely match the green-and-gold edged design on the pretty white china. There was a small flower on the table to add colour. Altogether, the appearance was one of understated elegance. After reviewing the extensive tea menu, we decided on Lady Grey, and English Breakfast. The tea was Twinings loose-leaf and it was perfectly brewed. As an ardent tea drinker, I can honestly say that this was a superior pot of tea. In fact, when we did our weekly food shop the following day, we made a point of purchasing a box of loose-leaf Twinings – it was that good. As we finished our respective pots of tea – and with precision timing – our waiter returned with hot water for a second infusion, which turned out to be just as tasty. I will take a moment here to mention the excellent service we received. Our waiter was super-efficient, very friendly, and obviously trained to a high standard. He was able to answer every question I had about the tea and food, and he truly did seem to enjoy what he was doing. Before the tea food arrived, we were served a mouthwatering fruit salad of mango, pineapple, and melon – a lovely, unexpected surprise. The fruits – diced into little bitty pieces – were in just the right amount of juice. After a long day of traipsing about London, it was the perfect appetizer. Very refreshing! I was looking forward to the Baked Bread Buns, and they did not disappoint. Although rather un-dainty to split open (I had to use my fingers; too dense to cut with a luncheon knife), once spread with butter and jam, they were quite enjoyable – true comfort food. I could just imagine a scrubbed pine table below stairs bearing a plate of these freshly baked bread buns, a sturdy Brown Betty on stand-by ready to serve up enough tea to wash them all down. The scones, on the other hand, did disappoint. As soon as I saw them I knew something had gone wrong in the kitchen. They clearly had not risen and just didn’t look right (this from a woman who has baked many a scone in her day). I wanted to at least try to eat the plain scone, but it crumbled everywhere when I gently eased it open. I had better luck with the fruit scone, but the taste was mediocre at best. I realise that these things happen, but scones are at the very heart of an Afternoon Tea; I question the decision behind putting them on the plate to begin with. The dessert tier was sheer perfection. Every pastry and cake was fresh and full-flavoured. Mr. Tea pronounced Carson’s Bread Pudding to be exceptionally satisfying, and I found the Lemon Chiffon to be an excellent finale to Downton’s ‘Upstairs, Downstairs’ Afternoon Tea at Grosvenor House. Mr. Tea and I have had Afternoon Tea at a number of London venues. Following today’s tea at Grosvenor House, we discussed whether or not Downton’s ‘Upstairs, Downstairs’ Afternoon Tea was good value for money (£34.50 each). We talked about what makes an Afternoon Tea – for us – GOOD. We determined that if we were in pleasing, comfortable surroundings; were served good food of a fair portion, and tea that was properly brewed; were waited on by staff who were friendly, helpful, and knowledgeable; and at the end of it all, felt full and satisfied, then – regardless of the cost – we had experienced good value and a satisfying Afternoon Tea. Downton’s ‘Upstairs, Downstairs’ Afternoon Tea at Grosvenor House in London ticked all those boxes mentioned above, and earned our approval. With some minor adjustments to the tea sandwiches and scones, we think Carson would approve, as well. Grosvenor House’s very own 1920’s Afternoon Tea price (1920 is the year in which Downton Abbey series 3 is set) of £2.25p for Downton’s ‘Upstairs, Downstairs’ Afternoon Tea, is available to the first two telephone bookings received (for two people only) on a Monday, Tuesday or Wednesday until November 11th. Downton’s ‘Upstairs, Downstairs’ Afternoon Tea is £34.50 per person at all other times and will be served in The Park Room at Grosvenor House, A JW Marriott Hotel, overlooking Hyde Park, 2pm – 6pm daily from Sunday 16 September until Sunday 11 November. To be in with a chance of securing a 1920’s priced Tea, call reservations from 11am on +44 (0) 207 399 8452 and quote Downton’s ‘Upstairs, Downstairs’ Afternoon Tea. Disclosure: I was provided with complimentary services for review purposes, which has not influenced this report. The Tower of London is the number one paid-for tourist attraction in London – about two and a half million people visit every year. Mr. Tea and I have often been a part of those numbers over the years. We both like history, especially Royal history, and always enjoy a trip to the Tower. Having our heads intact when we leave is an added bonus. You can easily spend an entire day at the Tower of London (Top Ten Things To See and Do at the Tower of London). I especially enjoy viewing the Crown Jewels; stunning doesn’t even begin to describe their beauty. My favourite thing at the Tower of London is the prisoner graffiti in the Inner and Outer Ward Towers (many prisoners carved graffiti into the walls during the 1530s-1670s). 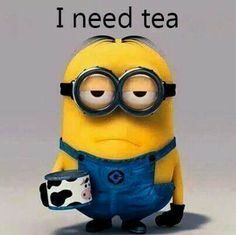 With such a gruesome, violent history, you wouldn’t think that the Tower of London could have any type of connection with something as gentle and gracious as tea. But it does. In the late 19th century, the area surrounding the Tower of London (Tower Hill), was bleak and boring. Although the Tower was a tourist attraction, facilities for those tourists were rare. Influenced by its nearness to the docks, the neighbourhood was dominated by oppressive Victorian offices and warehouses. One of those was the unsightly Mazawattee Tea warehouse. To make a long story short, the idea was to purchase and demolish the worst eyesores and generally give the area a good tidy up. A charitable trust was formed and monies raised. Improvements were gradual, and then the war intervened. During the blitz, many of the target properties purchased by the trust, yet still standing, were damaged – including the Mazawattee Tea warehouse. By 1951, the entire Mazawattee Tea warehouse had finally been destroyed – but its vaults remained. Today, they are known as the Tower Vaults shops. If you have ever visited the Tower of London and done a bit of shopping at Tower Vaults, you have consequently been “inside” the historic Mazawattee Tea warehouse. Tea and the Tower – an astonishing blend.